Rarely available, top floor quiet and bright 1 bedroom and den in the Grove. Offering upgraded new quartz counter tops,new backsplash, crown moulding, new lighting throughout, fire place in the bedroom, new washer and dryer, recently painted, laminate flooring throughout, stainless steel appliances. 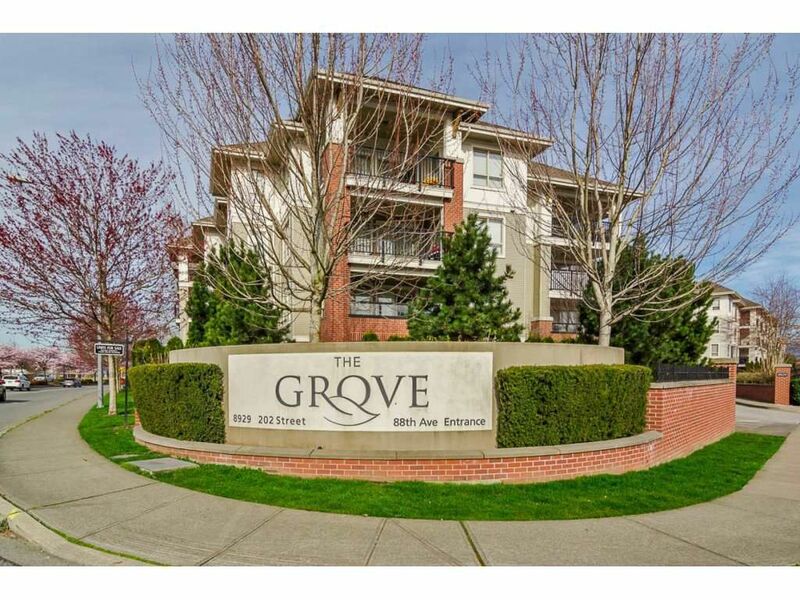 The Grove is a secure gated community close to shops, transit. A quick walk or drive to Park and Ride and the rapid bus to skytrain, minutes away from Hwy 1 and the Golden Ears bridge. Comes with 1 parking spot and locker.